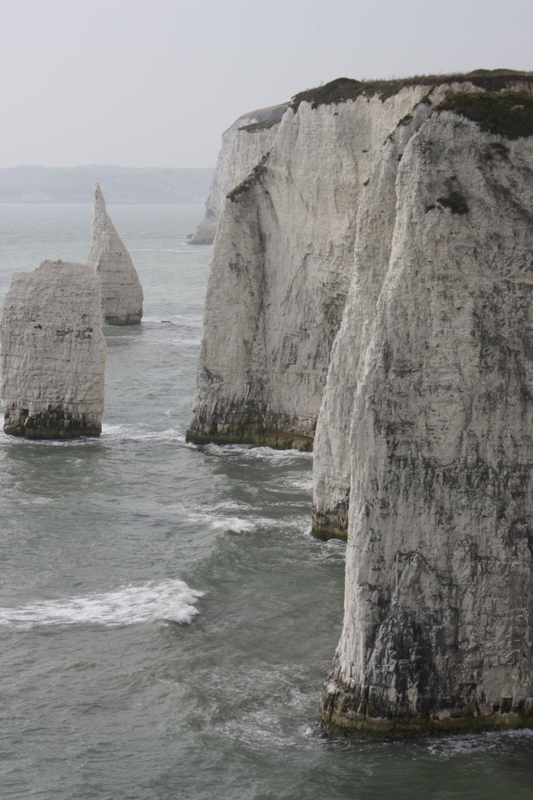 Great Brittan has some of the most stunning coasts in the world and Jurassic Coast is one of them. A 95 mile long sea shore spanning from county Dorset to county Devon, it is not only stunningly beautiful but also home to rocky cliffs that are 185 million years old and England’s first UNESCO designated natural World Heritage site. 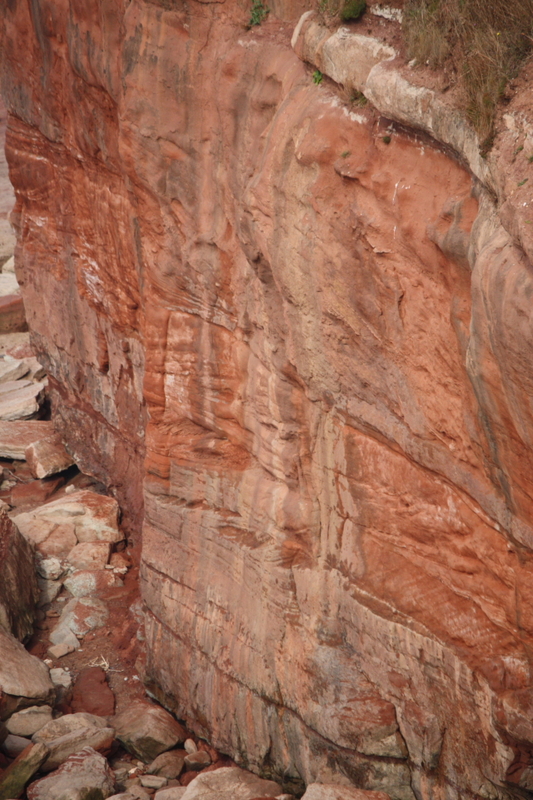 Even more interestingly, color scheme of the scenery transforms along the way, while the oldest rocks on the west are of deep clay red, the youngest on the east are of chalk white. Naturally, it is a rich ground for fossil hunting. And between its eastern end at Studland, Dorset and western end at Exmouth, Devon, it is studded with charming sea towns and villages. Planning for this holiday, I discovered the impressive network of foot paths (walking routes) that exists in England. Apart from the local routes of shorter distance, South West Coast Path (a.k.a. SWC) is a 630 mile long route that crosses Somerset, Cornwall, Devon and Dorset, and the majority of it falls on the coast with striking sea sights, and one that we crossed path with multiple times. Jurassic Coast on its entirety is part of SWC, there are itineraries covering the whole 95 miles by foot. It is a tempting option, one that would allow the fullest exploration of the coast and places in between. Alas, it mostly likely would take almost my entire vacation to complete. I settled for covering in one and half days these highlights, Old Harry’s Rock near the eastern end, Durdle Door and Lulworth Cove, Coastal Drive from Wyemouth to Bridport, Lyme Regis and Orcombe Point at the western end. My attack plan was to stay the night before near Old Harry’s Rock at Swanage and second night at Exmount which is where Orcombe point is located. 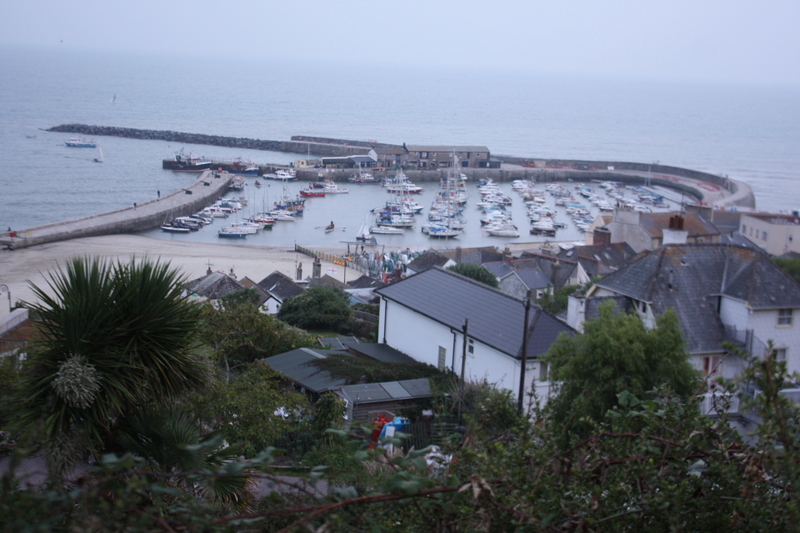 It was a long day with a lot of rushing and we pretty much fast forwarded through the Costal Drive (Weymouth to Bridport), with one momentary stop in Lyme Regis. But we did make it to Old Harry’s Rock, Lulworth Castle, Lulworth Cove, Durdle Door and everything was every bit as splendid as I had hoped it to be. At Swanage, we stayed at Clare House, a nice Bed and Breakfast. Although we did not have time to explore the town itself, driving through yielded a good impression. Dianne, Scottish, and Alan, English own the place. It was a few days before Scottish Independence Vote and I asked Diane about it. She said staying together is better for the economy. When the result was out, we were in Fowey. I was happy to find out England and Scotland would stay together. It would have been said to see the little island split up. 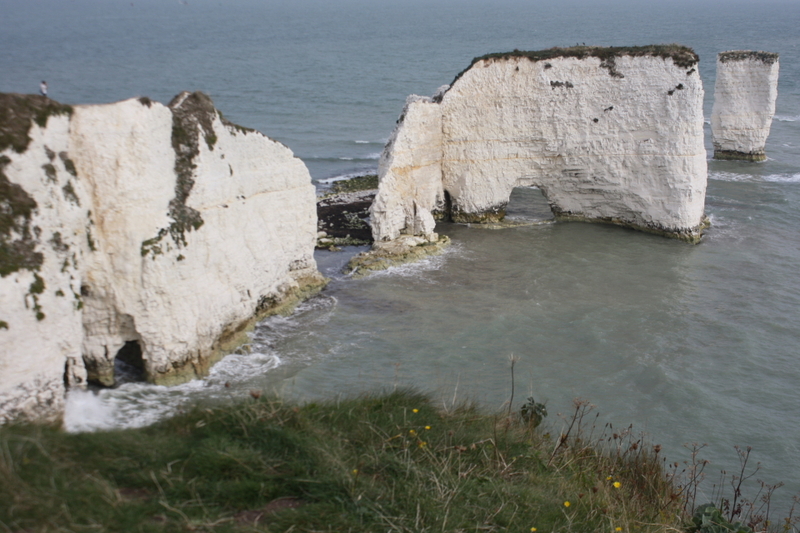 The closest car park to Old Harry’s Rock is South Beach Car Park in Studland, an unmanned pay and park system. It was supposed to accept credit cards but ours did not work there, be prepared and take plenty cash with you. It could be done in one hour but we spent about two hours at Old Harry’s Rock, taking photos and video along the way, taking time to explore and appreciate the environs; it took us 50 minutes to get there, but only 20 minutes to return to the car park. The walk was exhilarating. The route started off right across from Bankes Arms, a country inn right next to the car park, and was just some paces away from the path leading down to South Beach. The village was quickly left behind; the trail unexpectedly turned into a broad swath along the cliff, surrounded by nothing but sea and countryside, and hedges planted on the edge of the cliff. Somewhere on the hedge there was a sign warning about dogs falling off the cliff. While there were other people around, it was far from crowded, which was nice. Many of the hikers seemed retirement age couples, they were friendly and polite, and they made eye contact and said good morning. Quite a number had their dogs with them. I wondered if they were locals and what was that area like for retirement. Wouldn’t it be nice to have a place like that right in your backyard? Then the broad swath closed into a narrow way. It continued on through some thick shrubs. 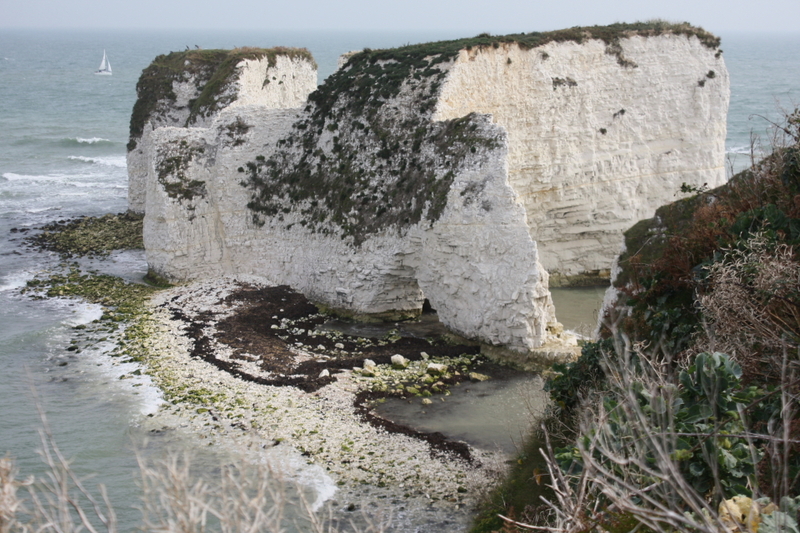 At some point, you’d notice an opening in the shrubs on the left, leading to a short path, and when you follow it, you’d quickly come to a small area on the edge of the cliff and a spectacular view of sea and chalk white cliffs. There is one single bench there. I suppose the choice is either sit back and enjoy the view or dare yourself down that sheep’s intestine like path in the middle. I knew it though; my husband would not pass it up. I curiously followed suit and found it more never racking than thrilling; but still glad I made it. The closer you get to end of the path, the narrower the path, at no more than 2 feet wide, in the meantime, the better your view of the perpendicular, sheer rocks, hugging you left and right, and you can’t help but stare down the whole length of the cliff, and feeling kind dizzy. Giddy from that little adventure, we returned to the main track. As unexpectedly as before, it opened up again and this time to a vast open area that stretched across to edge of the cliff with no planted hedge railing. And there it was to the left Old Harry’s Rock, the giant rocker, towering over the water and seemingly disconnected from the cliff. Walk along the cliff, you’d find a few more interesting rocks. The views are spectacular there, what makes it even better is that a whole area atop the cliff is naturally and verdantly preserved. A large tract of land immediately by the edge of the cliff is open field covered by low rise grass dotted with little wild flowers, further off are green woods and a village in the distance, wonderfully picturesque. 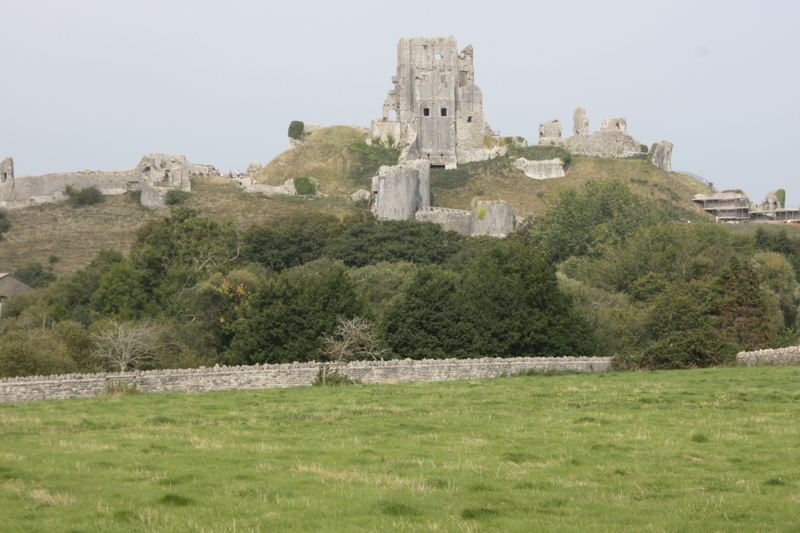 Moving on to Lulworth, we drove by again the little hill with the ruin of Corfe Castle on top. Castles, ruins, adventures and treasure hunting are my husband’s fancy so we took a little detour through village of Corfe. 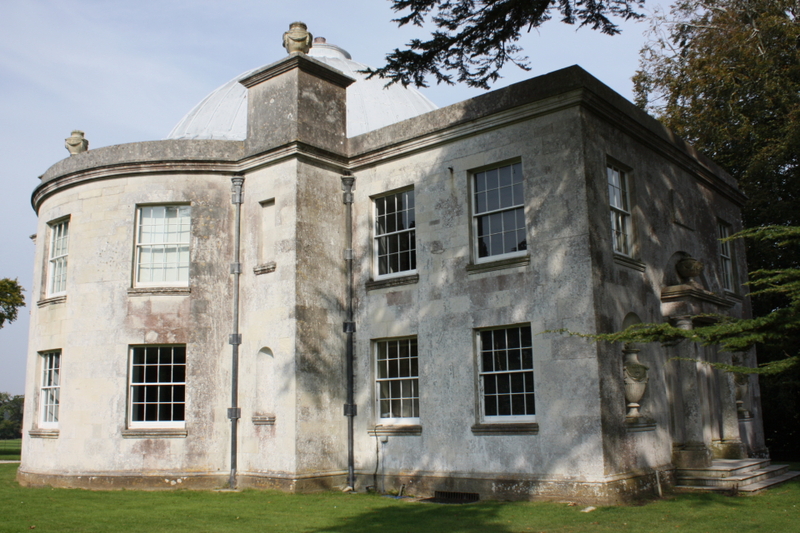 I was first made aware of the name Lulworth by American Heiress by Daisy Goodwin, a pleasurable read and I think it will totally pass as a prequel for Downton Abbey. 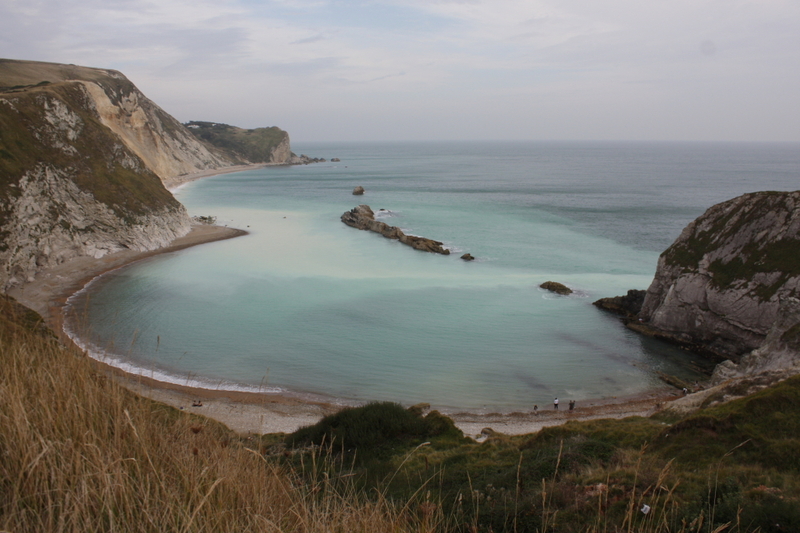 It was serendipitous to find Lulworth as one of the main attractions of Jurassic coast. 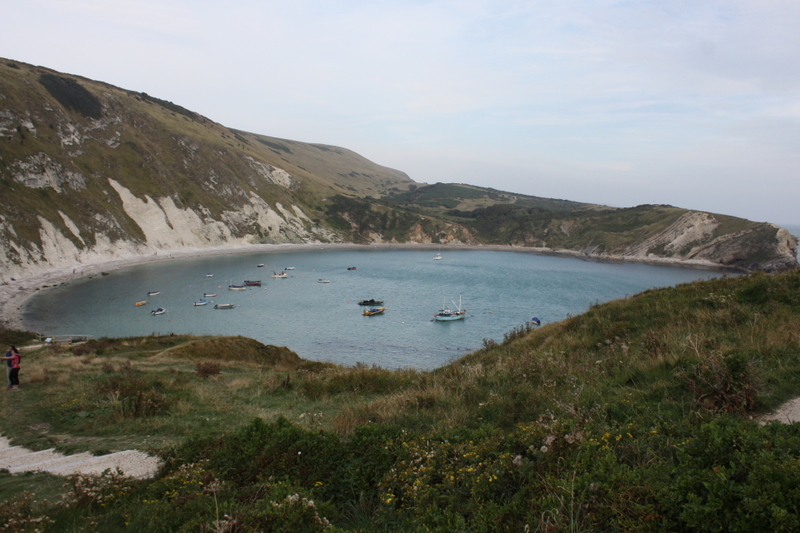 The reach of Lulworth estate is draw-droppingly expansive; among others, it includes the stretch of Jurassic Coast ranging from Lulworth Cove to Durdle Door. 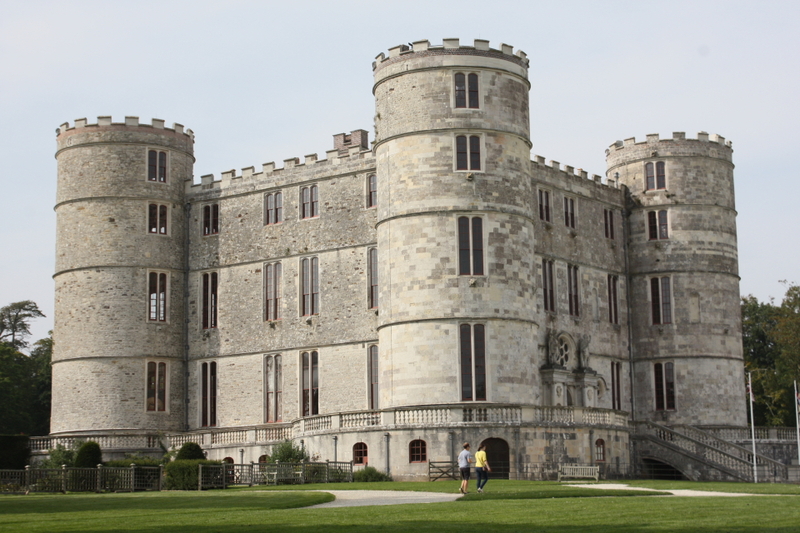 We visited Lulworth Castle first. The castle was ruined during fire early 20th century. 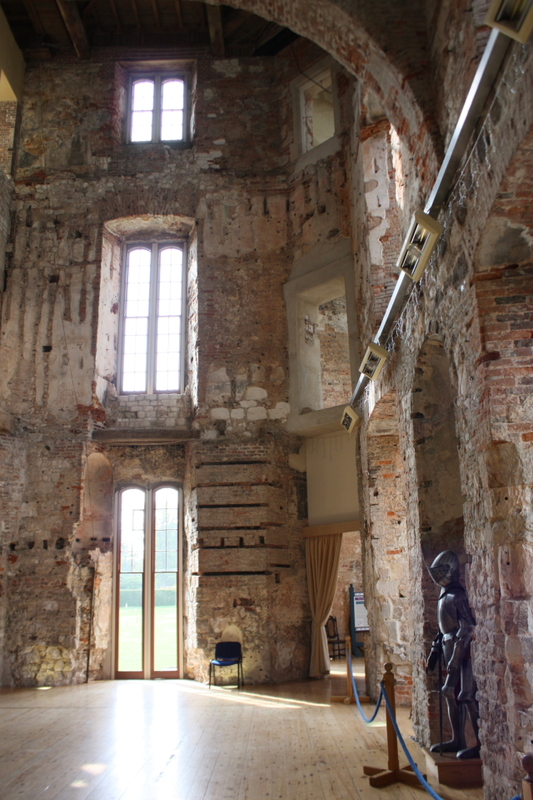 While the frame and exterior has been fully restored to its former glorious and imposing self, the interior remained an empty ruin. The climb to the top of the castle provides a good view of surrounding area and also a glimpse of the current residence of the owning family, a pleasant looking red brick mansion not far from the castle, with a manicured front yard and a garden on the other end of the house that blends in with the Castle garden. The exhibit in basement tells a good story of the family’s and castle’s history. 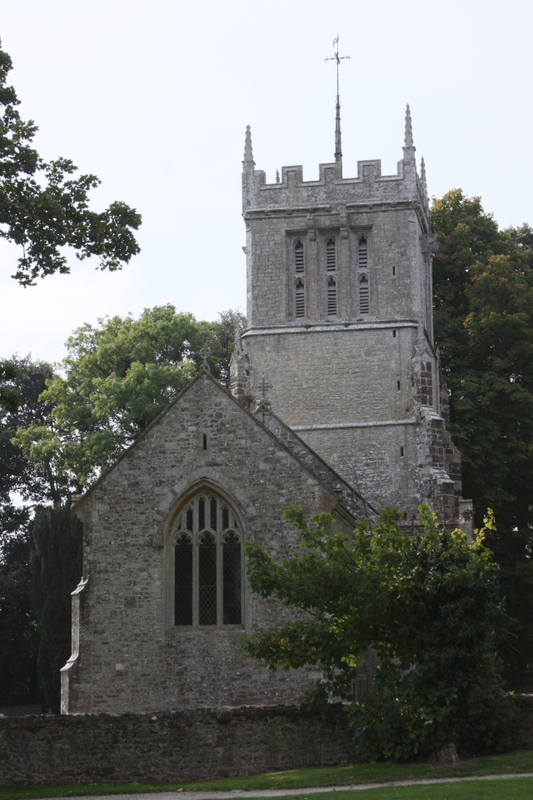 There are also two churches close to the castle, an Angelica church and a Catholic cathedral, both open to visitors. Its stable is located further off the castle. 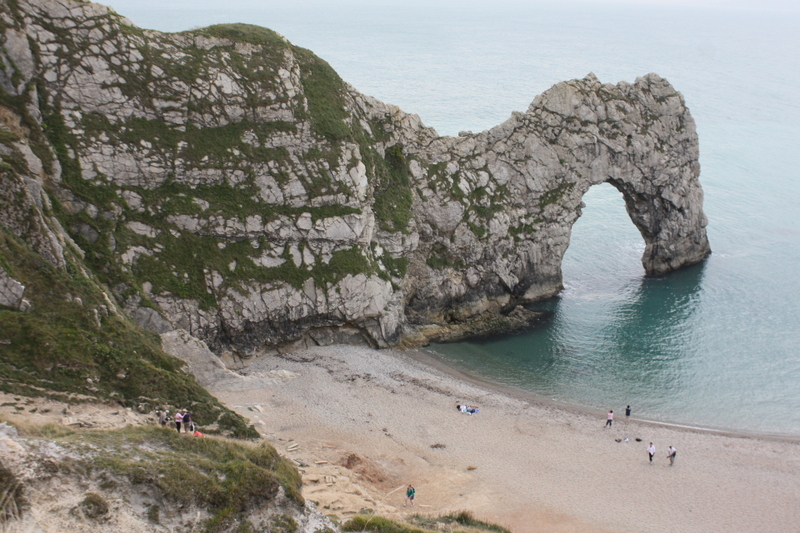 Both Lulworth Cove and Durdle Door are beautiful sites. 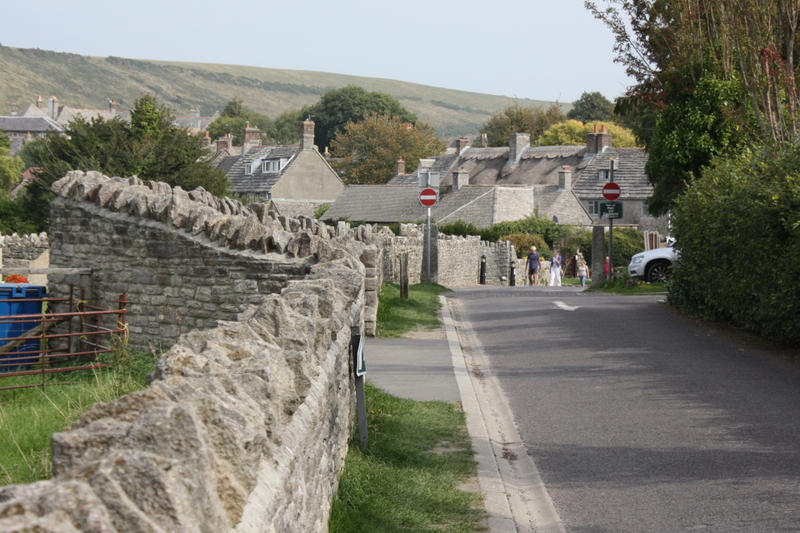 Car park and Lulworth Cove Heritage Center are closely located to the cove. You pay to park your car but no additional charge to go up to the cove. There were two options for us to get to Durdle Door. 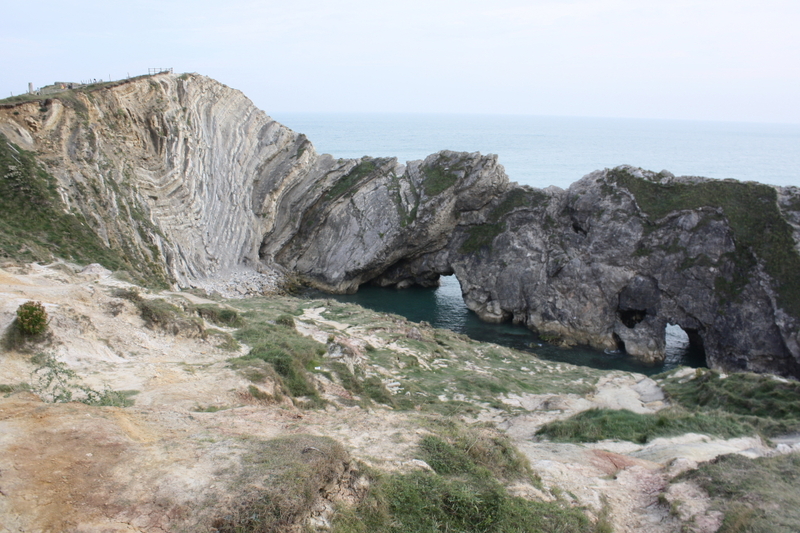 One was to start at Lulworth Cove car park and hike the mile long path accompanied by beautiful sea sight. The other was to drive up to Durdle Door Holiday Park, pay again to park there and make our way down the shorter path. The first was my original intention but it was approaching the evening and our legs had become heavy by that time, so we opted for the second. The path from there to the sea cliff is not too long but involves steep hills, which made it bit more challenging than it appeared to be. At the end though, all our effort was generously rewarded by Mother Nature. A night’s rest restored and refreshed us; and the light rain stopped by the time we were ready to head out to Orcombe Point, where we expected to find oldest red rocks of the coast. What I had been able to find was that it is very close to the car park at eastern end of Queen’s Drive so the plan was to leave our car at the car park and go from there. Driving through town in the daylight now, we could see Exmouth as the charming sea town that it is. Queen’s Drive is a beach front road which comes to an end at a red rock wall. 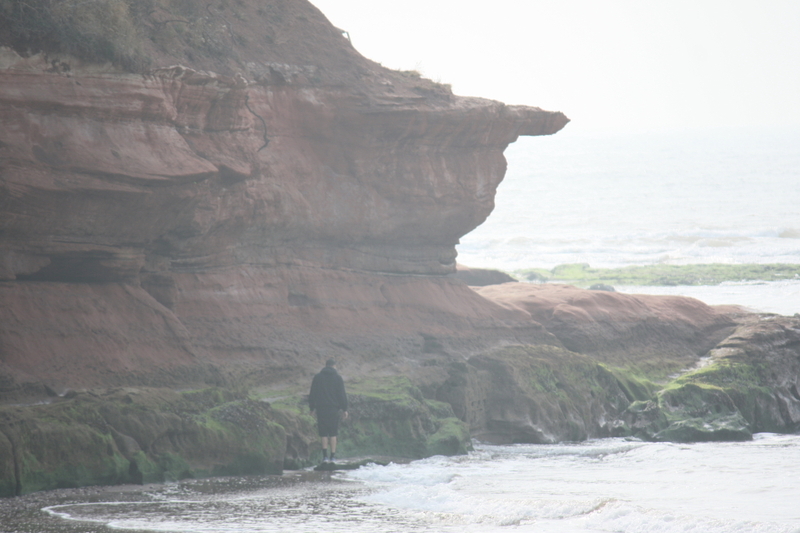 That red rocky wall right there turned out to be Orcombe Point, the very end of that phenomenal 95 mile coastline. 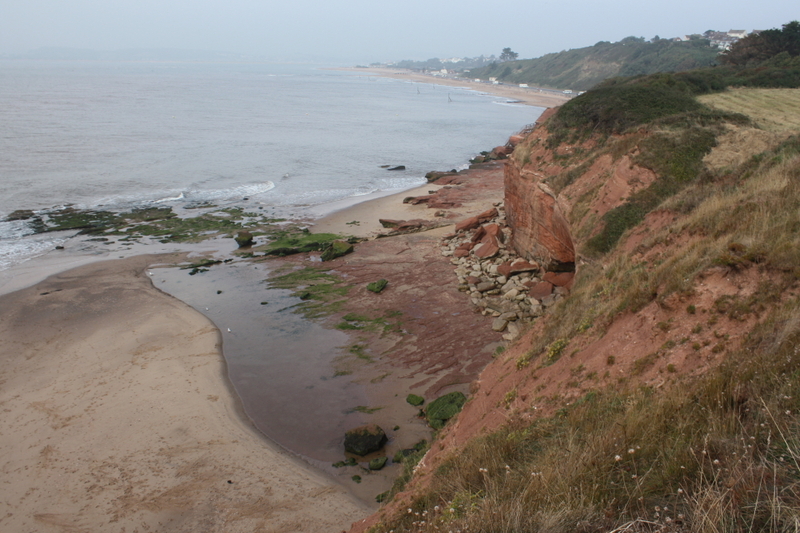 The beach west to Orcombe Point is Exmouth Beach and stretching eastward from Orcombe Point is Sand Bay. 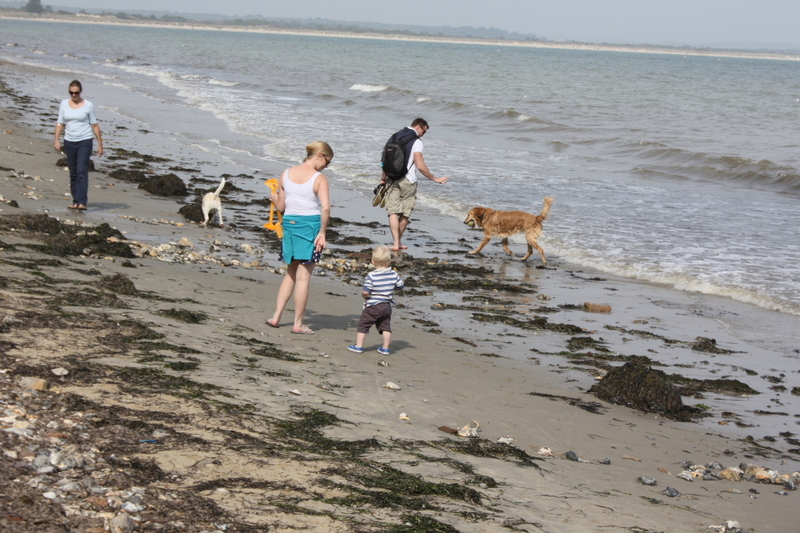 A number of people were that morning on the beach, with their dogs, which obviously enjoyed the water play with great energy and gusto. Sand Bay cannot be seen from the road or the beach but is accessible from Orcombe Point via a set of stairs, which on that day was however submerged in water due to high tide. We couldn’t get onto Sand Bay but we could still get up to the hill and look down from the cliff. The view from up there of the red cliff, the town and beach were very nice. 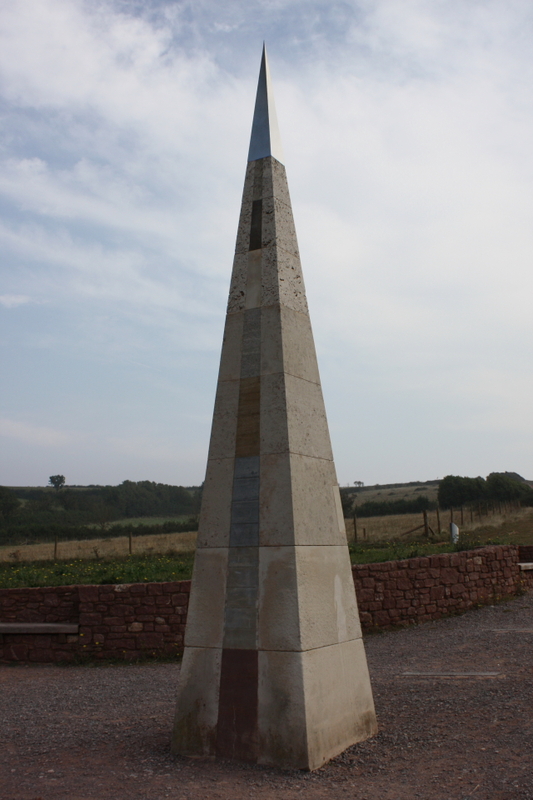 Geoneedle, a pyramidal monument erected on the hill top, is another highlight of Orcombe Point. It is made of different rocks from Jurassic Coast and officially marks the western end of the coast. Similar to that of Old Harry’s Rock, the land along the cliff comprises of luxuriant country fields, wonderfully unspoiled. People were walking, jogging, dogs in tow. We trotted along but SWC goes on and on. We realized we had to stop our jaunt right there and move on to the next destination, Greenway in Devon.